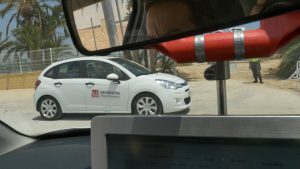 Researchers of the UWICORE laboratory, of the Department of Communications Engineering and the I3E Engineering Research Centre of the Miguel Hernández University (UMH) of Elche, have proven that the coexistence between autonomous and conventional vehicles will noticeably affect the estimated effects of autonomous driving. According to this study, until at least 15% of vehicles are autonomous, no benefit will be seen regarding the fluidity of traffic and the capabilities of motorways, unless solutions are developed to guarantee an efficient coexistence of autonomous and conventional vehicles. According to the director of the UWICORE group, Javier Gozálvez, the vehicles of the future will be safer and more efficient than the current ones, and will be characterised by greater connectivity and automation. Autonomous driving will allow, for example, for the creation of platoons or convoys (known as platooning) on motorways. These convoys are groups of vehicles that will be able to drive at a very short distance from one another without it entailing any risk. Several studies conducted heretofore have shown that autonomous driving can increase the capabilities of roads and decrease fuel usage. However, the research of the UMH has shown that, without efficient solutions that guarantee the coexistence of autonomous and conventional vehicles, platooning would not increase the capabilities of motorways (measured as the intensity of traffic in vehicles per kilometre) until at least 15% of all vehicles are driven autonomously. This is due to the impact that the executing of manoeuvres on behalf of autonomous vehicles can have on conventional traffic and vice-versa. For example, a manoeuvre to create a convoy can entail that nearby conventional vehicles have to decrease their speed for it to happen. On the other hand, a conventional vehicle could obstruct or interfere a traffic manoeuvre by autonomous vehicles if, for example, the security distances among vehicles are not maintained. In fact, the research conducted by the UMH shows that over 50% of autonomous driving manoeuvres may not take place due to issues in the coexistence of autonomous and conventional vehicles. The study states that reaching the projected benefits of autonomous driving therefore requires solutions that enable an efficient and safe coexistence among both types of vehicles. These solutions and a greater presence of autonomous vehicles will make it possible, according to professor Gozálvez, to noticeably increase the capabilities of roads; between 35 and 40% in terms of traffic intensity in the assessed scenarios with a presence of autonomous vehicles of 50%. Currently, the UMH researchers are working on measures to favour the appearance of autonomous vehicles with the implementation of V2X wireless communications among vehicles. These communications will enable vehicles to exchange information on their manoeuvres to coordinate them with nearby vehicles and guarantee not only their security, but also traffic fluidity. The UMH research has been conducted within the framework of the PREDICT project (Predictions and Characterisation of traffic with data from connected vehicles and autonomous vehicles), financed by the Directorate General of Traffic. 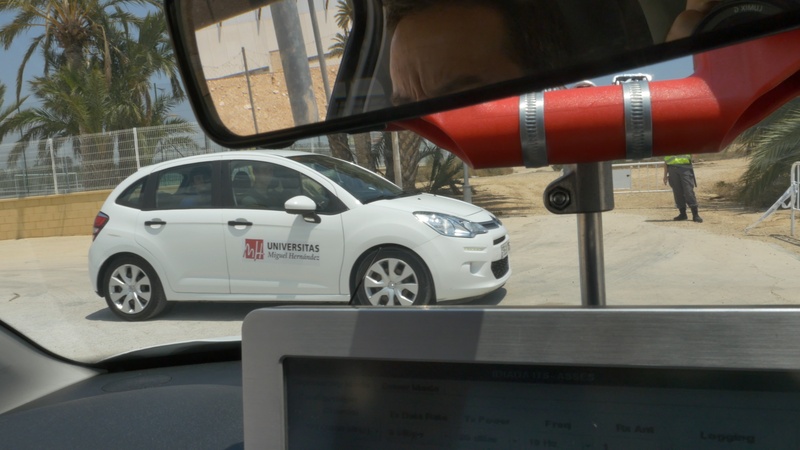 In the project, the UMH researchers have also developed artificial intelligence solutions based on deep neural networks to optimise the traffic predictions that use data from fixed sensors and connected vehicles.